We'll Help You Equip a Strong Team That Leads Engaging Worship. You’ve got potential leaders, but you don’t have the time—or a ready-made process—to develop them. We have the tools and process to help you grow leaders, no matter what level they’re at. Maybe you don’t have enough musicians. Or maybe you do, but they need to grow in their musical and platform skills. We’ve got tools that can help you get more (and better) musicians. Do the high demands of Sunday after Sunday leave little time to grow your ministry into the future? We can help you tackle the weekly stuff and grow beyond "this Sunday." Egos and attitudes are a part of every team—especially when it’s all musicians. We can help you overcome relational roadblocks and heart-attitude issues that are holding back your ministry. Is your church under 200 average weekly attendance? You’ve got all the above challenges and more. Don’t worry, we can help you do more with less (and we keep it affordable for your budget). Not quite ready for the full workshop? Go From Stuck to Leveled-Up with this Quick Start Leader Training. Learn which growth level your team is stuck on (and how you can break them free). Understand the five levels of engagement. Determine which level each of your team members are at. Understand what might be keeping them stuck at that level. 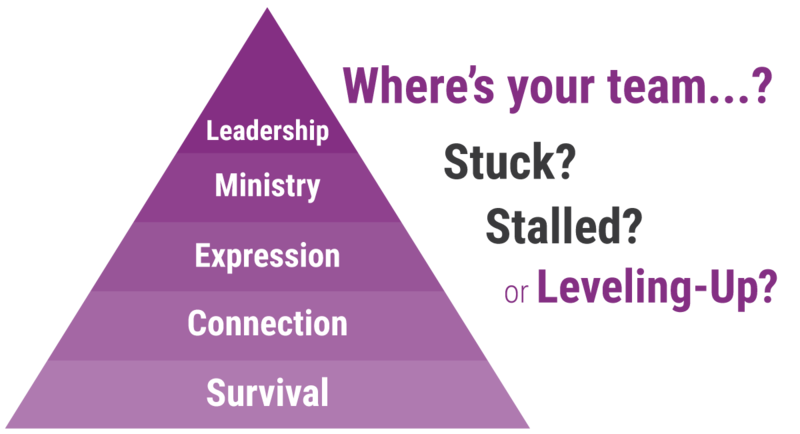 Take the next steps to move them from "stuck" to "leveling-up." Click the "Get Free Access Now" button. Check your inbox in about 2 minutes. 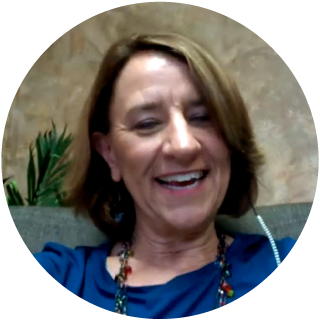 Enter your first name and email address and click the button below to get this Quick Start Leader Training Video. Click the button to get free access to the "From Stuck to Leveling-Up" Leader's Kit. Rarely have I seen the type of high-quality, practical, immediately useful (and affordable!) resources that Jon Nicol provides. 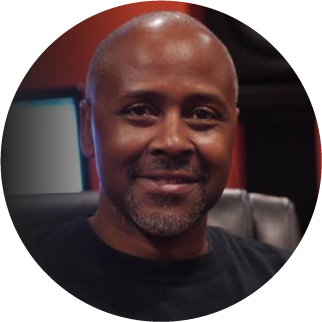 His worship ministry resources are virtual one-stop shopping for effectively discipling, equipping, and leading worship personnel. Jon Nicol brings such value to our conference, especially when he leads our Worship Leader Boot Camp. 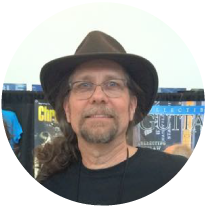 He relates so well to our attendees through his experience, humor, and practical instruction. We don’t think of producing a conference without him. Passionate. Knowledgeable. Practical. Valuable. Relatable. Jon Nicol is all these things are more! 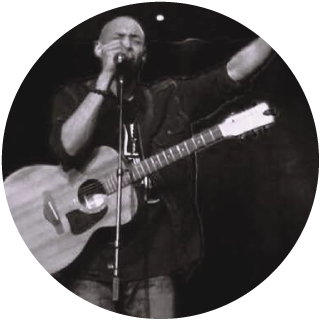 Any Church team of singers, instrumentalists and technicians would benefit greatly from the resources Jon offers. 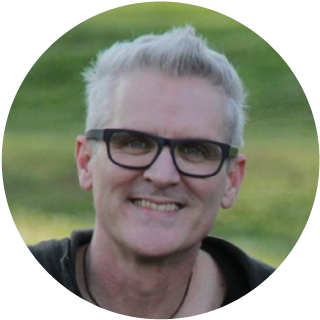 WorshipTeamCoach has been invaluable to me, and my team has greatly benefited from it! Coming on as a new leader with an already established team, WTC helped me to implement strategies to make us a more cohesive unit. This resource is one every worship leader/team must have! 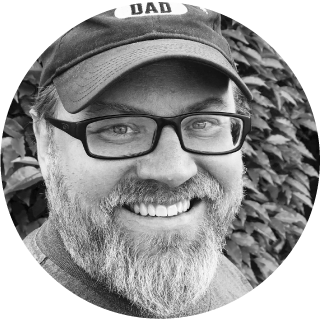 Jon Nicol is a regular columnist for Worship Musician magazine not only because of the practical expertise he imparts to our readers, but because he really lives what the teaches. His lighthearted, but pointed articles hit the mark every time. We are grateful to have him write for us! ...with a worship leader who needs training/mentoring? ...or, who wants to lead your worship pastor better? ...or, hiring a new worship pastor/leader? There are a lot of great worship resource sites out there. Many of them are our ministry partners and friends. 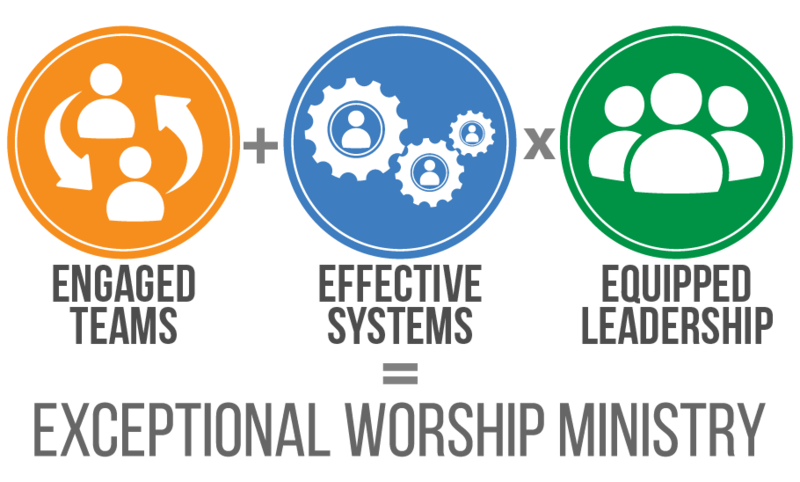 But what’s unique about WorshipTeamCoach.com that will help you lead your worship ministry to that next level of exceptional? Our white-hot passion here at WorshipTeamCoach.com is this: we want to help worship leaders build stronger teams that lead engaging and life-changing worship. And we do that through a simple, three-part framework that you can implement. Multiply all that by developing equipped leaders. Even though it’s simple, it’s not easy. The weekly rhythm of every Sunday creates a high demand on your time. As experienced vocational worship leaders ourselves, we know the challenge of preparing to lead your church into the presence of God each Sunday AND trying to lead your team forward to that next level of exceptional—musically, spiritually and relationally. But you can do it. You can successfully lead your team into and through that next growth phase. And we want to play a small supporting role as you make lead that journey. We can help you sharpen your leadership, confidently build strong teams and make a lasting difference in people’s lives. 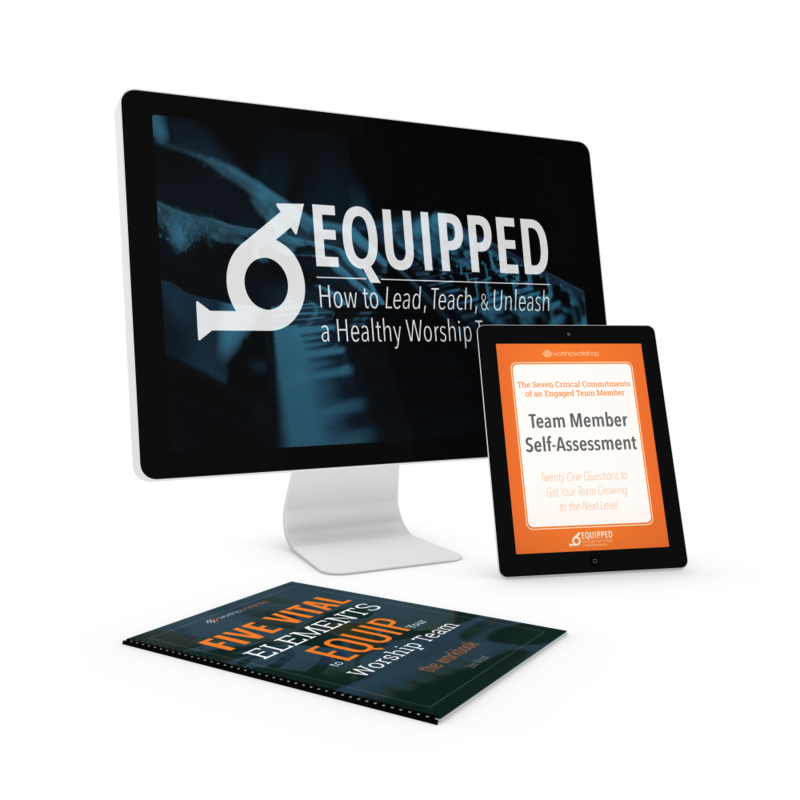 In our jumpstart workshop, Equipped: How To Lead, Teach, & Unleash a Healthy Worship Team, you’ll learn a step-by-step process for developing that first part of the framework - Growing Engaged Team Members. We also can help you through individual coaching, mentoring, video workshops, worship team training courses worship leaders, and even a few books we’ve written. But the best place to start is with a simple, $7 investment that jumpstart course, Equipped: How To Lead, Teach, & Unleash a Healthy Worship Team. Whatever size or style of your church, you will find this super practical workshop will prepare you level-up your worship ministry. There’s a lot on your shoulders. We want to help lighten that load so you can lead your team further, faster.